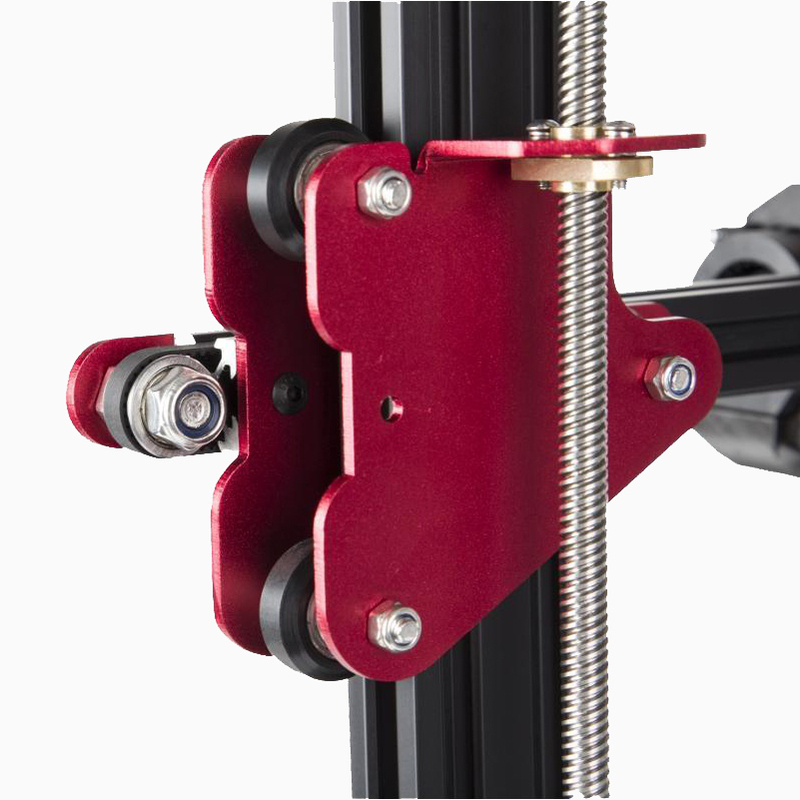 CR-10S PRO — 3D Printer Filament - STANDARD PRINT CO.
CR-10S Pro features an all new inductive proximity sensor, granting the printer the ability to automatically detect the bed and assist in reading a matrix of points across the bed for bed levelling. The CR-10S Pro’s Carboloy Silicon Printing Platform boasts a proprietary, coated glass print surface that grips while the bed is hot and releases when cool, keeping your print stuck to the bed when you need it. Not even the loss of power stops the CR-10S Pro from completing prints with automatic resume function. Pick straight up from where you left off in the event of a power cut. Armed with all-metal extruders, aluminium casting extrusions and a powder-coated steel shell, the CR-10S Pro provides a rigid, well supported printing platform - with the load spread and running over dual 2020 extrusions on multiple pulleys. Leave selector knobs in the past and easily select available options by touching the icons on the CR-10S PRO’s built-in 4.3 inch LCD touchscreen. Rated up to 340°C the CR-10S Pro comes out of the box with Capricorn’s XS Series, High Temperature, Low Friction PTFE Tubing, unlocking the ability to print exotic filaments with high melting points. The CR-10S Pro’s new unibody construction offers the same, large, print volume as the original CR-10 S3 but with with a 25% smaller footprint. The CRX’s new single ribbon cable design keeps all your cables tidy while the machine is in operation. Dual, Bondtech style filament feed gears paired with the CR-10S Pro’s low friction PTFE tube means more reliable and stronger feed of filament with less slippage. Take full advantage of the CR-10S Pro’s massive build volume and tackle even the longest, filament guzzling prints with automatic filament runout detection. All our Creality 3D Printers come with a 12 month, Australian based. parts warranty and a 24 month support warranty. See terms and conditions for more details. We ship all to all around Australia. If you are not located in Australia contact us for a shipping quote as we still ship to your country. Shipping is calculated during checkout, before you confirm your order. Depending on your location shipping time may vary and will be indicated during the checkout process. We do not offer an overnight shipping option. For international customers, duties and taxes are assessed by your local customs authority upon importation and are the responsibility of the customer. These taxes and duties are not included with your purchase. For orders placed within Australia, GST is included in the sale price. Require a quote, purchase order or pay via direct deposit? contact us with the details of your order and we’ll generate an invoice or quote for you. Looking to kit out a space with multiple 3D printers? We offer discounts on orders of five or more. contact us to arrange to a bulk discount.